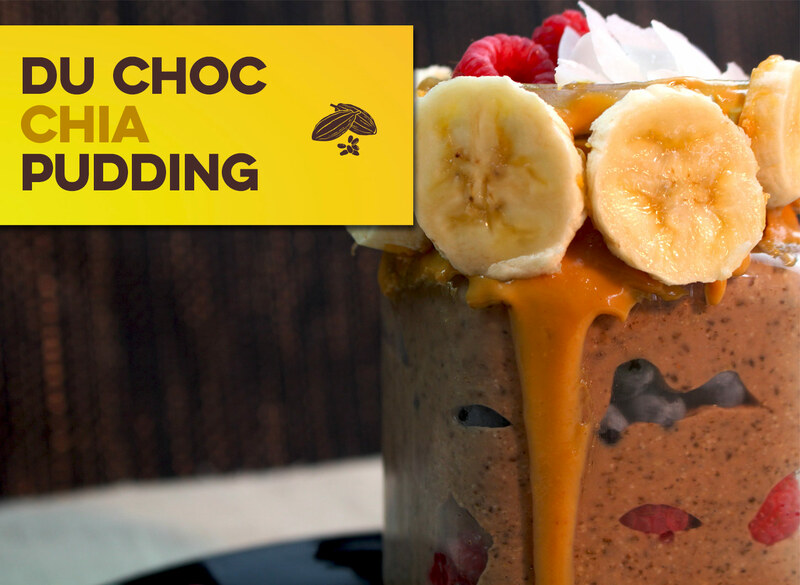 In a bowl, mix together chia seeds, Du Chocolat, Natvia and a pinch of salt. Stir in the peanut butter and almond milk. If desired, blend in a blender until smooth, or leave chunkier. To serve, layer with fruit or other toppings of your choice.